Organization name: Solidaridad Internacional Kanda, A.C.
(SiKanda;)“Kanda” means “Movement” in the Mixteca language) is a nongovernmental, nonprofit organization founded in 2009. SiKanda seeks to facilitate and manage participatory processes of balanced and sustainable development in order to improve the quality of life in Mexico and other countries. 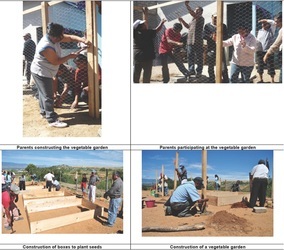 It has worked with at-risk communities in Oaxaca. Foundation, and the Universidad del Valle de Mexico to recognize the work of 15 entrepreneurs in benefitting their community. 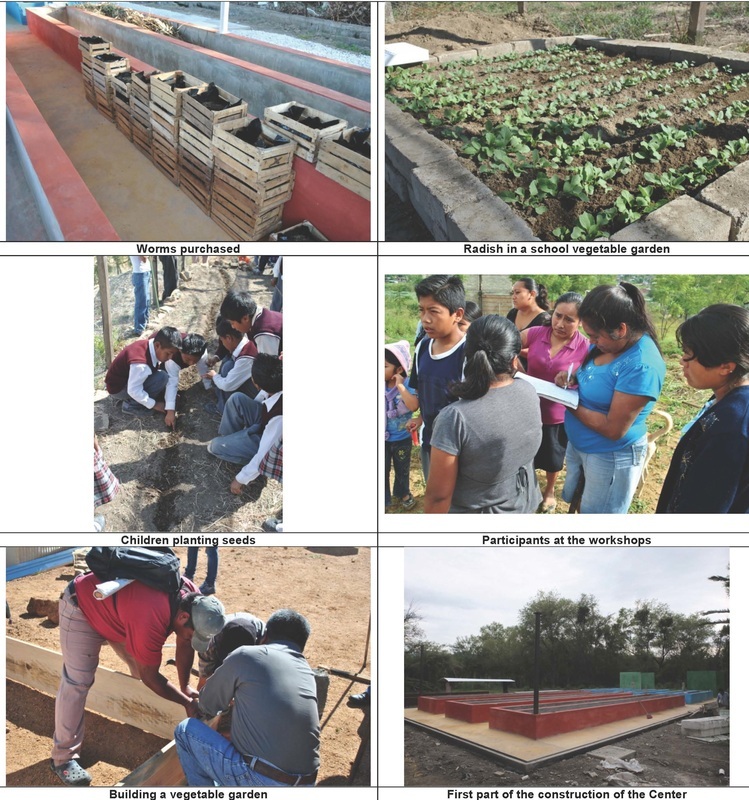 ​ Building on SiKanda’s previous projects on vermiculture (worm composting), sanitation and food security, their newest project, the Worm Composting Center of Oaxaca (WCCO), began operation in 2012. 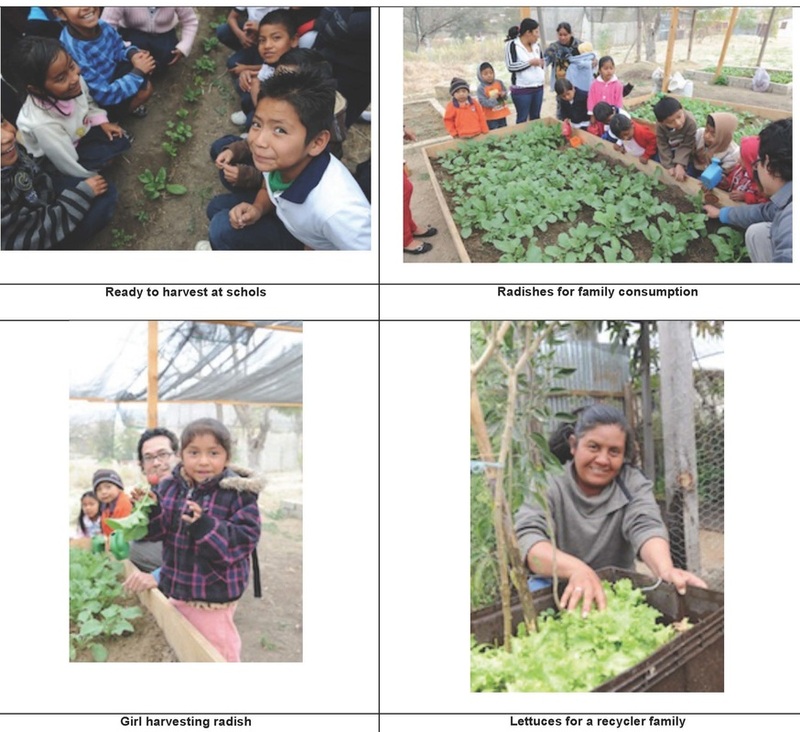 For families in these areas, a worm composting solution that processes organic waste will improve health and sanitation, while also providing income and restoring dignity. The process of collecting the trash will directly benefit at least 2,000 people. The waste will be transferred to the WCCO where red worms will feed on it and produce organic fertilizer. The fertilizer will be used for growing vegetables or for cash sale. The center plans to train 8,000 people and foster vermiculture as a micro business for 200 families in its first year. A cooperation agreement was signed between SiKanda, students at the Technological University of the Mixteca, workers of the municipality of Hujuapan de León, and the Center for the Transformation of Solid Waste. The 2015 Report noted the significant impact that SiKanda's project activities have had on the local community and the national and international recognition that the project has received. Training has been effective and is being replicated not only among participants, but also by neighbors and other family members. 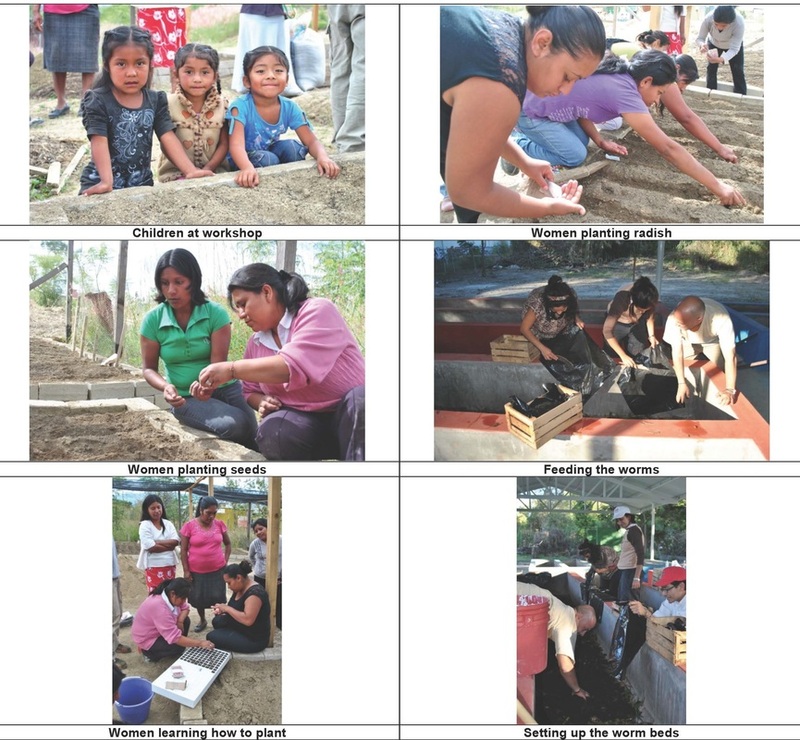 Visibility of the project has increased at a local, state and even international level, leading to ... the inclusion of new groups from two different municipalities in Oaxaca: Soledad Etla and San Lorenzo Cacaotepec. Due to the activities of the WPN2, the collaboration between Pepenadores and authorities has improved significantly. This unique collaboration has resulted in better waste management and enhanced living conditions for the Pepenadores, and is receiving international recognition for innovative practices on local waste management and for the promotion of inclusive recycling. In 2015, the Worm Power Network obtained the Municipal Excellence Prize, awarded by the National Conference of Municipalities in Mexico. Out 325 contenders, 5 were selected for the environmental sector by an evaluating committee, including the Huajuapan Municipality. Also, the project was invited to participate at the 3rd United Nations World Forum on Local Economic Development in Turin, Italy. During the event, Guadalupe Quijada, a Recycler form Huajuapan, represented her colleagues, sharing her experiences along with Recyclers from Italy and Argentina. Also during the event, SiKanda and partner organizations presented a Charter of Rights aimed at the recognition of Recyclers as formal workers. This charter of rights was handed directly to the UN’s Secretary General, Mr. Ban Ki-Moon, in favor of informal Waste-Pickers around the world." ﻿2015 Project Name: WORM POWER NETWORK PHASE 2: "Enhancing productive capabilities, women leadership and sustainability at the new Worm Composting Center to improve living and working conditions of the Recyclers “Pepenadores” in Huajuapan de León; Oaxaca, Mexico"
There is a lack of income opportunities for informal recyclers of Huajuapan. The people who live off of recycling and selling trash, commonly called “Pepenadores”, lack professional training opportunities, especially for women, and this reduces the chances to generate income from other sources or add value to the garbage they process on a daily basis. “Pepenador” families from the Huajuapan de Leon, have an average income of $4usd per day; 70% have chronic health problems; 65% suffer malnutrition and only 30% have completed secondary school. Pepenadores of this region are mostly women and come from indigenous Mixtec communities. Collaboration between Pepenadores, local authorities and civil society has been poor. The Mixteca region of Oaxaca is one of the poorest of Mexico. Community participation is very weak and authorities are not aware of the importance of civil society engagement. 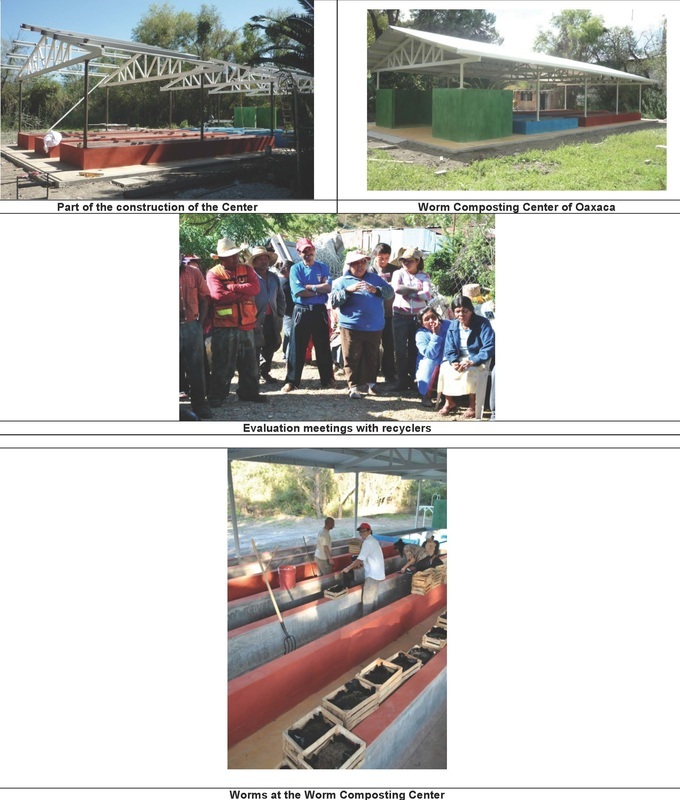 The 1st phase of the project established the foundation for collaboration between Pepenadores and local authorities in relation to waste management in Huajaupan, yet authorities lack preparation and capabilities to adequately involve marginalized communities in public policies. - Deliver 4 workshops on the management of worm-composting facilities and advanced vermiculture. - Produce at least 1.5 tons of compost and worm-fertilizer each month. 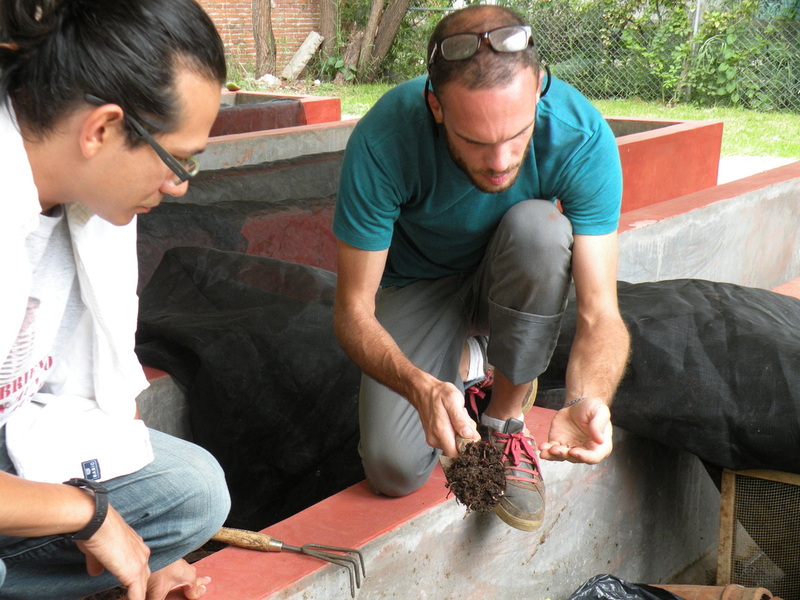 - Develop a specific label/marketing strategy for Huajuapan Pepenadores’ compost. - Deliver 4 workshops on group management & cooperative management. 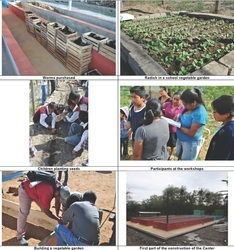 - Provision of materials, equipment and tools to increase productivity and security of Pepenadores and set up a vegetable garden at the WPN Center. 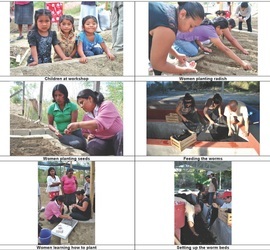 Results: 65% of workshop participants practice waste separation and composting; 20% of family income saved thanks to proper waste management; 35% of organic waste is recycled; 230 individuals are producing organic fertilizer; 2,300kg of fertilizer sold (monthly); 35% of community savings as a result of processing organic waste at Huajuapan; and 90 pepenadores/ 30 authorities and over 350 civil society participants trained in worm composting. Participants in a training session with SiKanda. 2.Empower Pepenador women, raising their self-esteem and confidence, and providing them with leadership and business skills. - Deliver 4 workshops on gender leadership to Pepenadores, local authorities and grass-roots organizations. - Identify and train at least 5 women who become community promoters and participate in the management of the cooperative of Pepenadores. 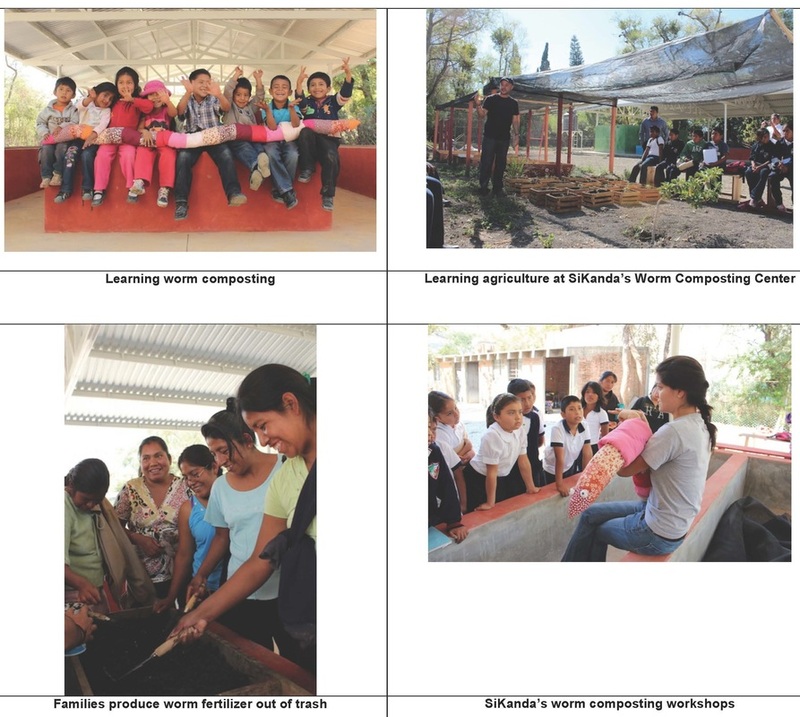 Results: 90 pepenadores and 30 authorities trained on gender equality and leadership; 7% of Pepenador women trained others at Huajuapan; 60% of women joined the Worm Power Network (WPN) as a result of attending the events; and 45% of women have a position of leadership at the WPN. 3.Increase social cohesion and dignify Pepenadores’ work by strengthening collaboration with local authorities and civil society. 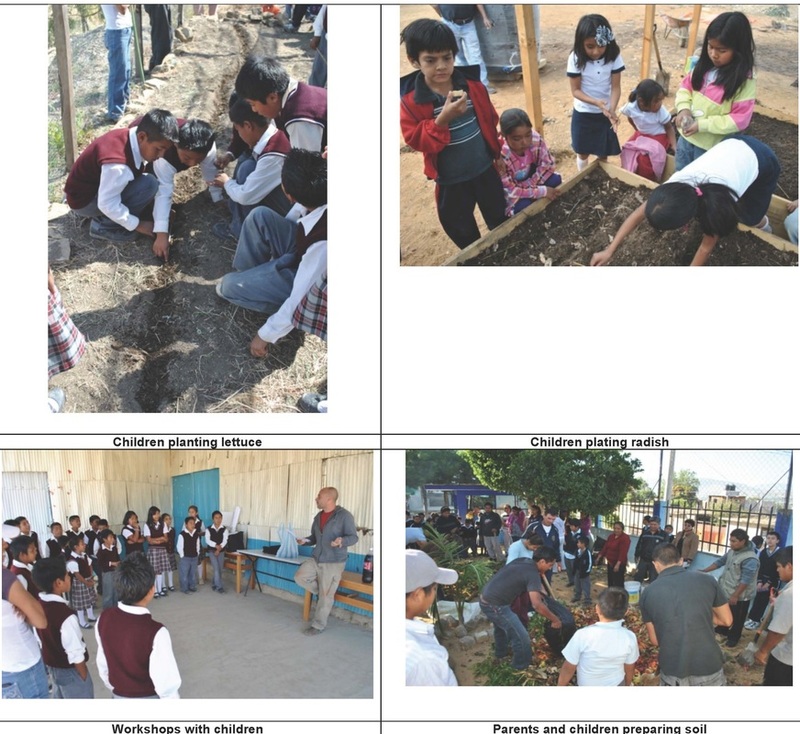 - Organize 2 awareness events to promote the WPN2 project at schools in Huajuapan, where the Pepenadores themselves share their experience, as well as their knowledge on Recycling and Vermiculture in Huajuapan. - Deliver 4 workshops on labor rights to Pepenadores, local authorities and grass-roots organizations collaborating with Pepenadores. Results: 730 people attended the events and 60% signed up for future training and workshops from the WPN; two communities incorporated into the WPN; 16 new Pepenador families have joined the Network; 3 local TV features of the WPN were produced and over 10 press articles printed; 90 pepenadores and 30 authority members attended training on labor rights​. Project Description: In Oaxaca, over 60% of households lack public garbage collection services, which reduces life expectancy and generates costs for marginalized families. To dispose of trash, families need to pay approximately 5usd weekly, 240usd yearly to small private truck drivers who collect waste sporadically and take it to the dumping site. The average weekly income in slums is 25 to 33usd, which means individuals would need to pay 15% of their income if they choose to dispose of their trash outside of their neighborhood or city. The project will set up a Worm Composting Center in Huajuapan de Leon (a couple hours north of Oaxaca city). Monthly training workshops will be offered on topics such as trash separation, worm composting, management of worm-composting facilities. Those receiving training commit to sharing what they have learned with others. The new center will produce at least one ton of worm fertilizer a month, which may be sold to increase family income. 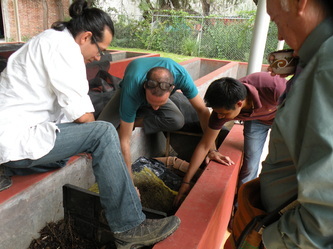 Pepenadores (recyclers who work informally at the dump) from Huahuapan and from Oaxaca will meet twice to develop the idea of a Worm Power Network. Efforts will be made to increase public awareness of the importance of the work of the Pepenadores through TV and radio, print media, and a public event. 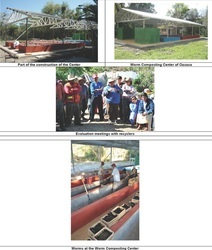 Manuals on home recycling and worm composting will be produced. 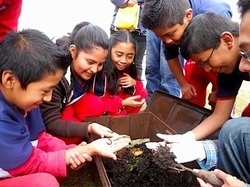 Children learning about worm composting. Project Report: The results listed reflect the project as a whole. IF provided about 16% of the funding. 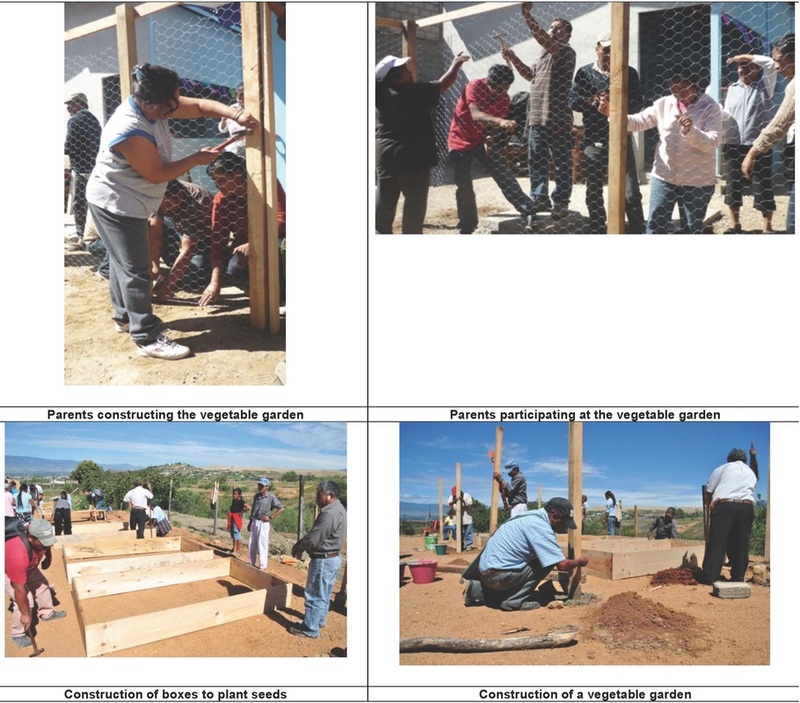 - Construction of 1 training center: Worm Composting Center of Oaxaca. - 100 Kg. of Red Californian worms/wigglers purchased. - Setting up of 3 demonstration vegetable gardens at the WCCO. - 8 workshops on how to separate trash appropriately. 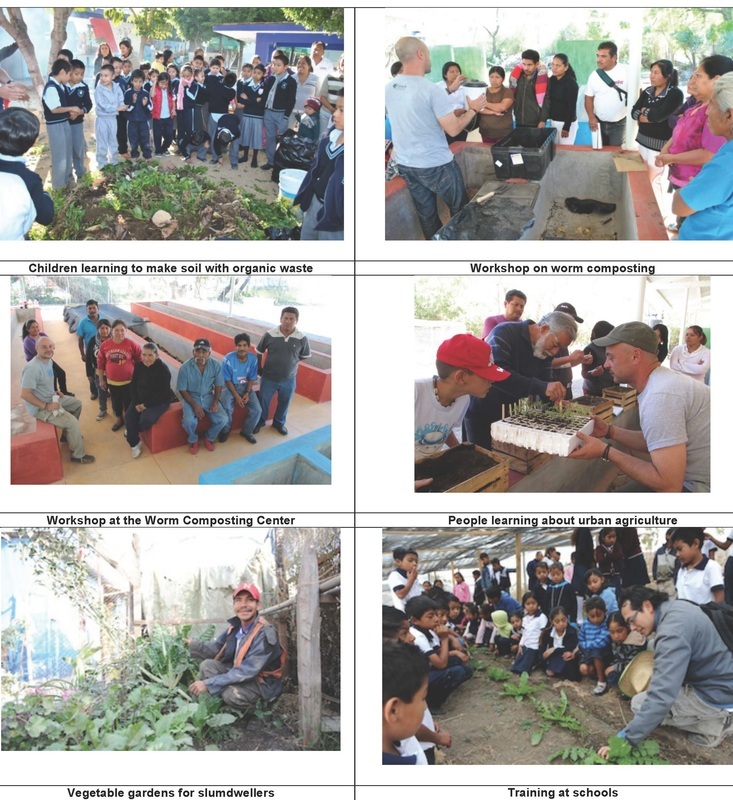 - 10 workshops in recycling and vermiculture. 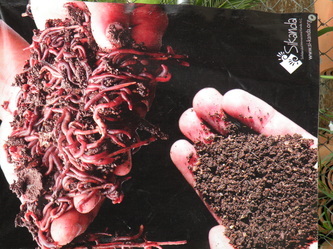 - 5 workshops on worm composting management. - 1 packaging, brand and logo design to market the worm fertilizer. - 4 workshops on how to market fertilizer. - 7 workshops on how to become vermiculture trainers. - 11 workshops in urban and organic agriculture. 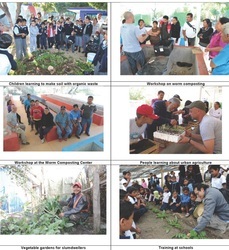 - 6 workshops on production of vegetables. - 226 women were trained on basic vermiculture and marketing of organic products. Workshop attendance totaled 1800 people. The large WCCO facility gave more exposure to the project, which resulted in requests from new communities to integrate worm composting and recycling in their neighborhoods. 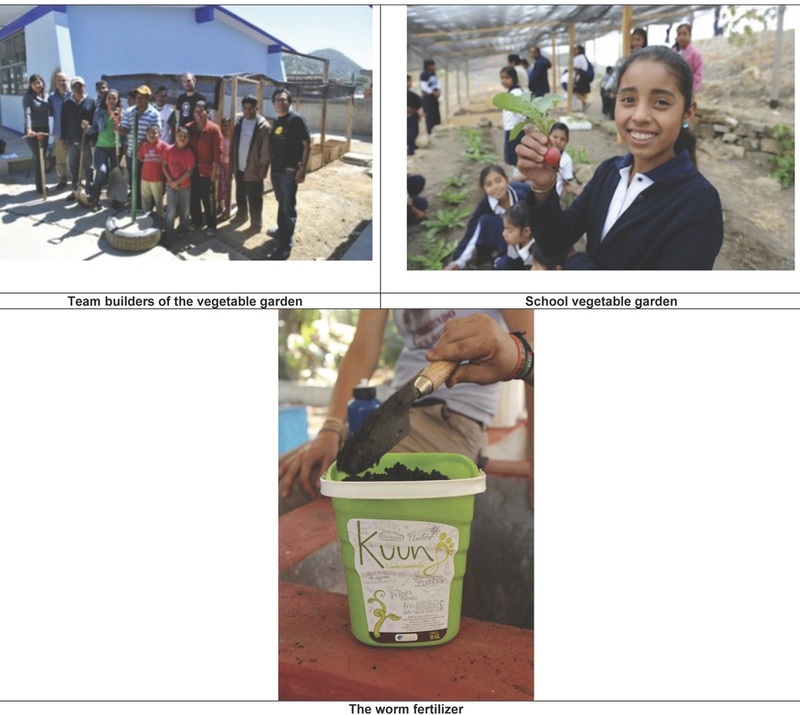 Other benefits claimed include: reduction of waste, improved nutrition, additional income for some families through the sale of surplus vegetables. Each family saved an average of $20usd monthly as a result of reducing the amount they pay to get their garbage collected, selling fertilizer and reducing shopping costs to buy vegetables. This represents 10% of total household monthly income. The project has improved beneficiaries’ knowledge on waste management and it has dignified the work of the Pepenador-Recycler by boosting their self-esteem and generating income for their families. The families that received the training and inputs committed to “Pass on the gift” of their new expertise and materials to other families. By enabling women from slums to learn, use and teach worm composting as a commercial activity, the project empowered and reduced women poverty levels in slums and fostered a culture of leadership among women. Project Update (July 2013): Phil McManus, Jose Carlos Fajardo, Carolyn McNulty and Karen Cane recently visited SiKanda's worm composting project. Karen Cane took the first three slideshow photos that focus on this project.